***Warning*** Before you purchase this book, please be aware that Arianna Rose contains material that can be considered controversial. Please do NOT purchase this book if you are at all disturbed by adult content occurring among 18+ year-old fictitious characters. 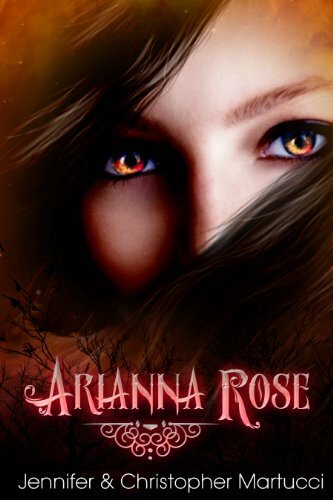 Too provocative to be labeled a young adult paranormal romance novel, Arianna Rose (Part 1) is the pulse-pounding beginning of a series that follows an eighteen-year-old girl, Arianna Rose, who is unlike other girls her age. She always knew she was different. But shortly after moving to a new town and starting a new school, she realizes her differences are far greater than she originally imagined. Suddenly empowered with seemingly supernatural abilities, Arianna struggles to discover the meaning behind their abrupt appearance. In this spellbinding first installment of the Arianna Rose series, Arianna must come to terms with what she is, and how to protect herself from forces that want to destroy her. Mesmerizing and enthralling, Arianna Rose will leave you on the edge of your seat, eagerly awaiting Part 2. Loved, loved, loved the story line…..romance, mystery, suspense = a fabulous page turner that you won’t be able to put down!! I can’t wait to begin part 2. This book was all around amazing. It had my heart pounding and the pages turning faster and faster. I loved it. Love this story. It just keeps getting more interesting. I’m even playing the guessing game.